UniplayOne free version is fully working and usable and will have Ticker & Logo as Watermark and will stay for 2 Minutes every time you start application. Activation is optional and you can purchase it from here by clicking the PayPal Button below. 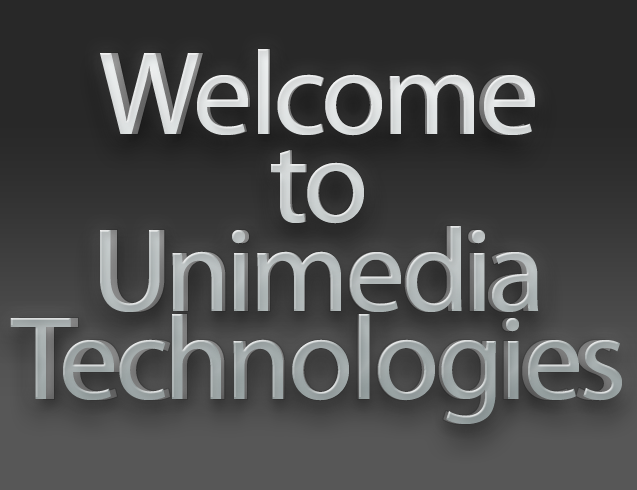 Get the new Uniplay One TV Playout & Automation software absolutely free from Unimedia. With its fresh new design and easy to use features, you'll be broadcasting in no time. UniplayOne is India's Most Advanced and Robust Broadcast Playout Automation Software and Character Generator Automation for satellite television channels or Cable TV channel broadcaster. UniplayOne supports SD and HD output with Blackmagic's Decklink Boards. It support Graphics Overlay with High Quality Flash and Targa (*.tga) sequences, JPEG, Bitmaps and PNG. UniplayOne comes with Extra Template Packs of the High Quality Graphics for Ticker Backgrounds. Seamless Switching Between Media Files and Live Video. Seamless Playback of Media Files(Supports All Popular File Formats) in Playlist. Mixed Playout (Files Of Various Resolution, Frame Rate, Audio-Video Compression Or File Container In The Same Playlist). Ultra Smooth Unicode & Multi lingual, Multi-Faced, Multi-Colored Font in Scroll or Crawl.User friendly UI Character Generator. Inbuilt Character Generator for Text and Graphics Overlay. After Succesful Payment please send us your Machine's Unique ID with Paypal Transaction ID and we will send you Activation Key. 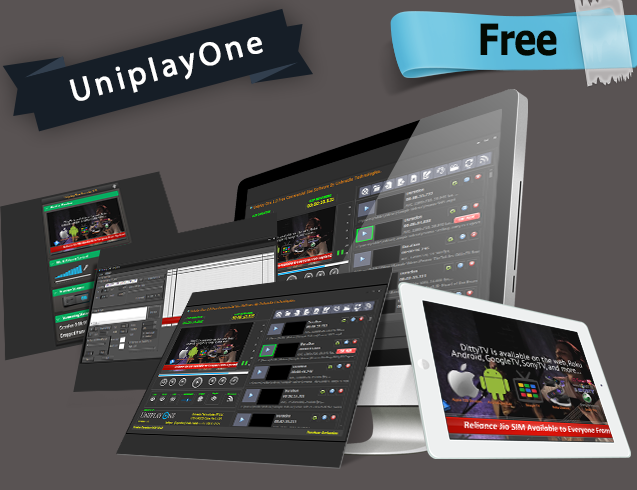 Download free Version of UniplayOne today !!! 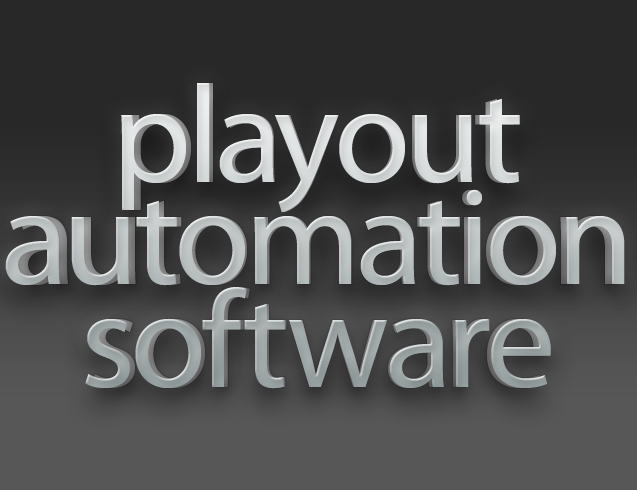 What is Broadcast Automation Software & Playout Automation Software ? Broadcast automation Software incorporates the use of broadcast programming technology to automate broadcasting operations. Used either at a broadcast network, radio station or a television station, it can run a facility in the absence of a human operator. They can also run in a "live assist" or "live broadcast automation" mode when there are on-air personnel present at the master control, television studio or control room for this any radio station / TV station / Satellite TV Studio will need the perfect Broadcast Automation Software. Any broadcast automation software consists three work-flows first is Playout Automation and second one is On-Air Broadcast Graphics Automation and third is Live Broadcast Automation. UniplayCG is India's Most Advanced and Robust Broadcast Automation Software and Character Generator Automation with Playout Automation Software for satellite television channels or Cable TV Channel Broadcaster. UniplayCG supports SDI and HD output with Blackmagic's Decklink Boards. It support unlimited Graphics Overlay with High Quality Adobe Flash, Targa (*.tga) & PNG (Quicktime) Sequences & Still JPEG, Bitmaps and PNG. Uniplay-CG has the Best Interface for Scheduling Operation and Media Files ever. Comparing the other available Playout Automation Software, Uniplay schedule your campaigns automatically. Just enter parameters like time slots, days of the week and periods, and Uniplay will create the schedule for you while choosing from the available Media Library. If you prefer to enter each spot manually, the advanced manual scheduler will save you time by giving you instant overviews of your schedule. Based on start and end dates and account information you can create any schedule. 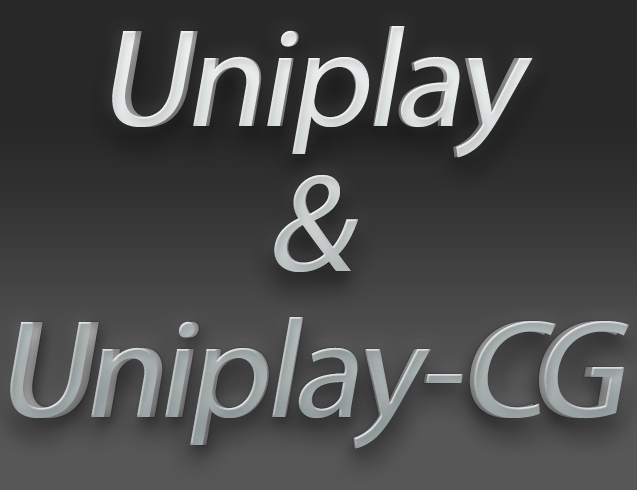 UniplayCG Advertisement or Sponsor Interface Editor enables you to group, sort or search campaigns. When a campaign has been scheduled, the created schedule can be reviewed. Spots can be moved to other breaks using drag & drop and different spot titles can be assigned. Uniplay has advanced features for processing multiple spots. By selecting multiple spots in the log, different spots can be assigned, spots can be moved to another day or time, and fixed positions in spots can be assigned. "Uniplay comes with Extra Template Packs of the High Quality Graphics!" Uniplay provides unlimited days Movie or Media Files Scheduling and for fillers user can create Fillers Zone(Time Slots) for whole day and day of the week. So No Worries if user MISSED any Schedule !! Uniplay Manage The Complete Playout Automation Workflows . Zone Based Fillers or as Playlist item. Squeeze Ad(Overlay) in L- Shape, Top Bottom or Custom Designed. Ultra Smooth Multi lingual, Multi-Faced, Multi-Colored Font in Scroll or Crawl. Instant Live Video Ingest or Ingest Live Video as Time Based Event or as Playlist Item. Accurate Frame Based Spot Advertisement Ingestion as single, Group or Zone Basis Group of Spots. Time Based and Playlist or Mixed Mode Broadcast Playout Automation for Media files or Broadcast Overlay Graphics. High Quality Broadcast Graphics Overlay Templates for Breaking News, News Updates, Entertainment Graphics or Business Related Graphics. For Complete Playout Automation of any Television Broadcast Company. Live Video Broadcast whether its Game or any other Event like Live Shows or Newsroom. 3 PCI Express Slot for Graphic Card(x16 Slot) 2 Extra PCI Express Slots free for 2 Decklink/Intensity Pro Card for Input / Output. Windows 7(SP1) x64 certified PC or workstation. Or Windows 2008 (SP2) with Windows Media Service(Desktop Experience) certified server with sufficient space to install the selected Blackamgic Design Decklink or Intensity IO card.